I was gripped by this video. It gave me so much food for thought that I was compelled to write this blog. Before you proceed, please watch the video. As sad as the video is, it made me think about those who are lonely and often alone in the world. What has this video made me think about? It made me pick up the phone and call someone I hadn’t spoken to for a long time. We asked how each other were. We reminisced. We laughed, joked and set a date for another call. I hadn’t realised that my friend had lost her partner and had been very lonely and alone for nearly two years. We hadn’t spoken since 2012! Not because we had fallen out or had a disagreement, but that we had jobs to do, places to be and life too busy at times. It made me feel guilty. Guilty for not checking in with an old friend, a friend who had been with me through thick and thin. But now, I will never be too busy to either text or call my friend just to say hello and take away some of the loneliness. In fact, I am going to check in with many others too. Checking in now and again can make all the difference. What I’ve learned: Even when you are busy a short call can make someone else’s day magical. 2. The video made me think of family. The passing of my dearest Mamgu & Tadcu (Grandmother & Grandfather) and grateful that they were never alone – they were there for each other and I always made sure I visited as much as I could. In more recent years the wonders of technology allowed me to ‘Face Time’ with my Tadcu from places such as Dubai, Kuwait and Cyprus where I would be working training teachers or consulting with education teams. But the power of technology made sure I could stay in touch, see his face, hear his voice and always, always there was a wave goodbye at the end. His hand almost reaching through the screen and touching me the other side. They were magic moments. What I’ve learned: Never ever underestimate the time you have in this world with the special people you love dearly. 3. Batteries can make things work. Batteries can bring gadgets to life. 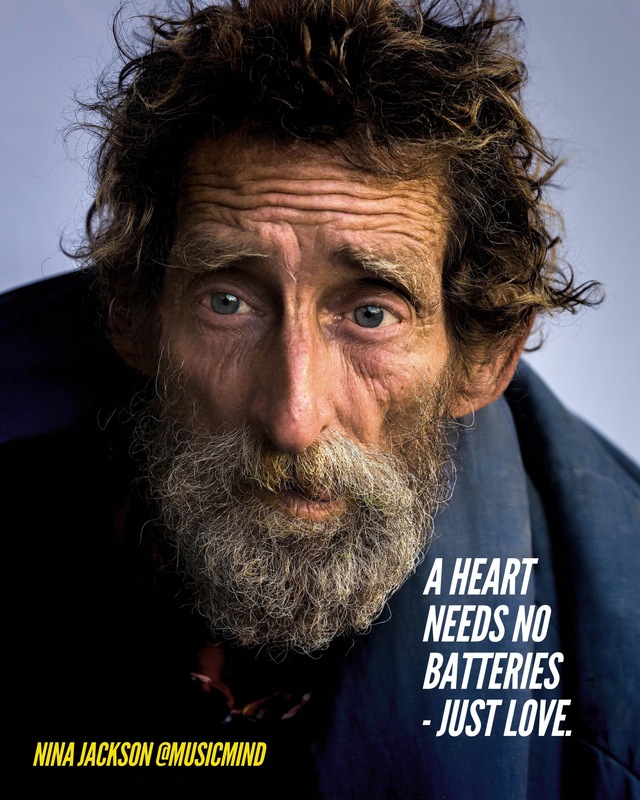 Batteries are a great invention, but a battery doesn’t give you a heart. What I’ve learned: Feelings of joy, sadness and all the emotions rolled into that wonderful pumping heart we have is part of life’s great secret of emotional intelligence and resilience. Look after your heart, for it will look after you. 4. If you see someone who looks lonely or alone, ask them if they’re ok. I once had a great chat with a very interesting gentleman on an aircraft (it was a long flight to Bangkok!) and I asked him ‘Would he care for a Tic Tac?” (I’m a bit partial to a tic tac or two you see!). We laughed, learned a lot about and from each other, and when we landed he thanked me for not making his flight a lonely one. He gave me his card and wrote something on the back. “Make sure you check that note” he said. I did. He had gifted me an all expenses paid holiday to Mauritius! – all because of a Tic Tac! 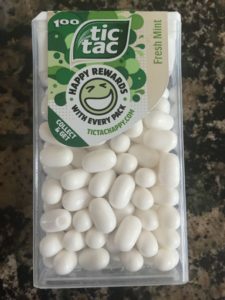 What I’ve learned: It’s good to share your Tic Tacs! As a teacher, this video has a wealth of possibilities as a learning tool in your classroom. Always making time for people. Robots will never replace a human being. I could go one for a long time about my own ideas, but I’m sure the video will have sparked ideas of your own. Let me know what your thoughts are won’t you. I’m off to call a friend. Super smiles as always – remember you can turn someone’s grey day into a GREAT day.